Super Dancer Kids Dance Reality Show On Sony Entertainment Television, Premiering on 10th September 2016 at 8.00 P.M Every Saturday and Sunday. As the knowledge and impact of dance has broadened over the years, it has now surpassed from being a mere passion to a full-fledged career choice, Super Dancer is the next big ambitious platform for kids. With an aim to nurture, groom and hone the skills of young and upcoming talents, the show promises to be the ultimate destination to identify the future of dance. Kick-starting its search to find the one child protégée between the age of 4-13 who will redefine the way dance is perceived in the country, the show premiers September 10, 2016, every Saturday-Sunday at 8pm only on Sony Entertainment Television. After a nationwide hunt to scout for India’s best dancing talents across 15 cities where kids underwent rigorous screening, 12 dancers will get a golden opportunity to compete for the coveted title of Super Dancer – Dance Ka Kal. Each final contestant will be paired with one notable choreographer who will mentor, understand and nurture their strengths while introducing them to different dance techniques and bring out the best in them week on week Super Dancer will be judged by the dancing sensation- Shilpa Shetty; ace choreographer – Geeta Kapur; and leading Bollywood director – Anurag Basu, the show will train, encourage and groom young talent. Seen hosting will be dashing actor Rithvik Dhanjani and adorable comedian Paritosh Tripathi. Super Dancer is sure to set the television screens ablaze with the dhamakedar performances of the little ones, who can definitely give any adult a run for their money. The show will be the perfect platform for young protégés to showcase the 3D’s of Dancing – Desire, Discipline and Determination. 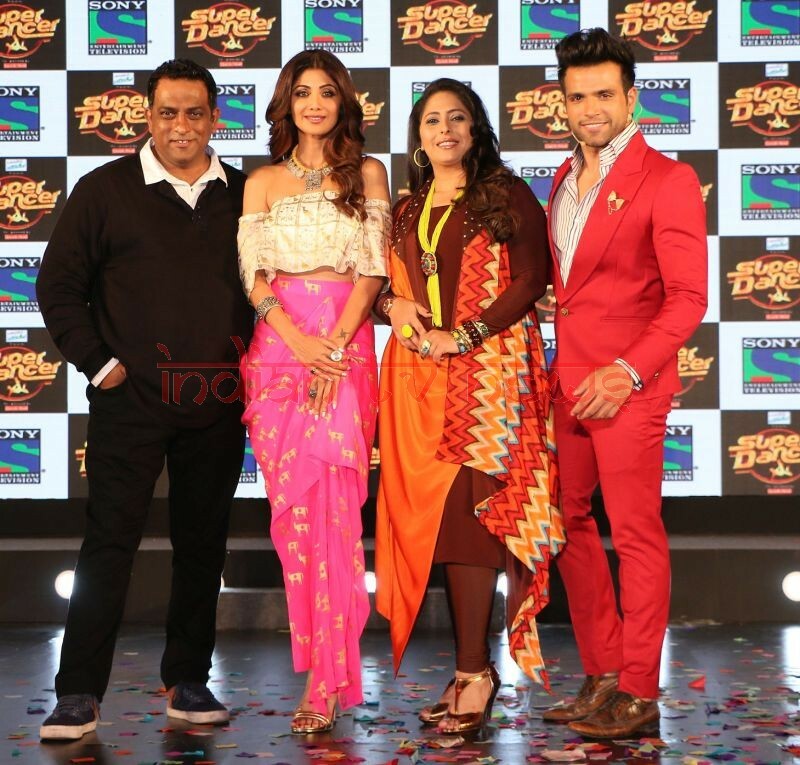 So get set to join Shilpa Shetty, Geeta Kapur and Anurag Basu as they embark on their search of finding India’s first Super Dancer!